Go out of your way to connect with every one of the volunteers. 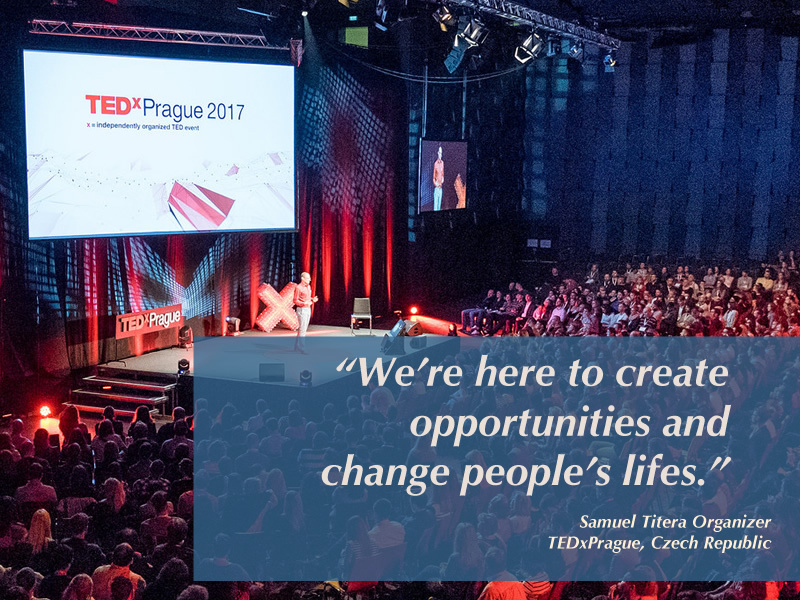 Samuel Titera came to TEDxPrague through the route of being one of the four original Czech translators for TED talks. When he learned that TEDx was being organized in Prague for the first time, he offered help as a volunteer and soon became one of the core organizers. His first brush with TED was Barry Schwarz's talk on the Paradox of Choice. Nowadays he focuses on supporting team communication, finding and preparing speakers and organizing TEDxSalons with scientists. Samuel now lives outside the city and our conversation centered on his focus on family and his new community. He describes himself as a why-keeper and continually is asking that question of the team. He says he enjoys staying in touch with the 150 past speakers while helping build a stable team centered on sustainability and passing knowledge along to new team members. This was a deep and thoughtful conversation as if we'd been friends for many years, which led to truly candid moments. I loved his quote, "Don't be afraid to take time off." This is so true (We took a 3-year hiatus ourselves). As a musician himself, he is adamant about having music at TEDxPrague, including having a quartet in the audience one year. You'll enjoy this show as it was one of the more personal conversations centered on how he feels about the event, instead of focusing on operational aspects of producing a TEDx. Note, Samuel has personally translated 104 talks into Czech. Huzzah. He’s been involved since 2009 and now focuses on Salons. They produce 12 events and have an annual meeting in a wine cellar to talk about how to continue to improve their events. I like to tell the stories of the struggles, and I’m also one who tends to think backward. This is a great way to handle dragons. When times get tough, don’t be afraid to ask for help. And don’t be afraid to take some time off.